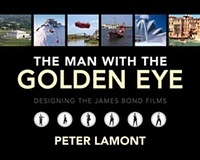 Oscar-winning production designer Peter Lamont worked behind the scenes on 18 James Bond films, beginning with the 1960s classics starring Sean Connery and George Lazenby. From the 1980s onwards he was the production designer of the films starring Roger Moore, Timothy Dalton, Pierce Brosnan and Daniel Craig. Along the way, he worked with director James Cameron and contributed to The Ipcress File and Chitty Chitty Bang Bang, some of the other films made by Bond producers Albert R Broccoli and Harry Saltzman. The Man With the Golden Eye is a richly illustrated memoir that provides an unparalleled insight into some of the best-loved films ever made.